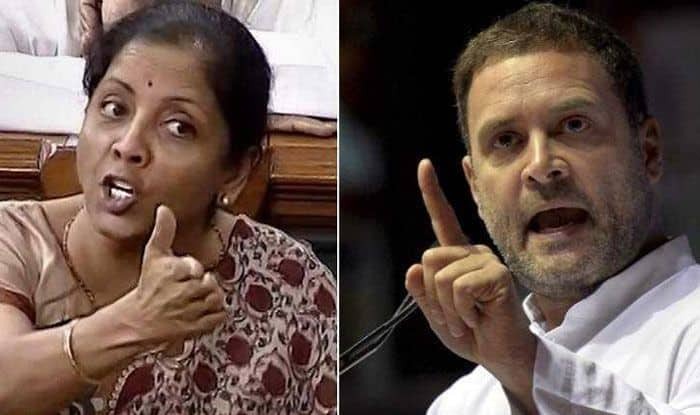 New Delhi: The Lok Sabha is likely to witness another round of high-voltage debate on the Rafale fighter jet deal on Monday after Congress chief Rahul Gandhi and Defence Minister Nirmala Sitharaman got engaged in a Twitter battle over the over the issue of procurement orders worth Rs 1 lakh crore to Hindustan Aeronautics Limited (HAL). Both the Congress and the BJP have issued whips, asking their MPs to be present in the Lok Sabha on Monday. Rahul on Sunday demanded that Sitharaman either place documents before the Parliament on Monday to prove her claim that government orders worth Rs one lakh crore were provided to HAL, or resign. “When you tell one lie, you need to keep spinning out more lies, to cover up the first one. In her eagerness to defend the PM’s Rafale lie, the RM lied to Parliament,” Rahul tweeted. “Tomorrow (Moday), RM (Sitharaman) must place before Parliament documents showing 1 Lakh crore of Govt orders to HAL. Or resign,” he said. The report, however, stated that though the process of ordering has been started, no actual orders from the defence minister have been placed yet. Hitting back at Rahul, Sitharaman said that it is a matter of “shame” that the Congress chief was “misleading” the country without fully understanding the issue. Suggesting that Gandhi jumped the gun while making the charges following a media report, Sitharaman’s office tweeted that Gandhi should “start from ABCs” and read the complete report before commenting on it. “It’s a shame that the president of @INCIndia is misleading the nation. HAL has signed contracts worth Rs 26570.8 Cr (Between 2014 and 2018) and contracts worth Rs 73000 Cr are in the pipeline. Will @RahulGandhi apologise to the country from the floor of the house?,” Sitharaman tweeted from the defence minister’s official handle. She also tweeted details of contract awarded to HAL since 2014 when BJP came to power. According to her, the Rs 49,797 crore contract to HAL for supply of 83 light combat aircraft Tejas to the Indian Air Force was at the stage of technical evaluation stage. Another contract, whose tentative size is Rs 20,000 crore, for supply of a batch of Kamov Ka 226 T helicopters was also in the similar stage. Sitharaman also pointed out that the media report said that “LS (Lok Sabha) record shows” that she did not claim the orders were signed and mentioned that they were in the works. Sitharaman made the remarks about HAL during her reply to debate on Rafale deal in Lok Sabha on Friday. The Grand Old Party has alleged that price of each aircraft was sharply hiked from around Rs 526 crore, negotiated under deal during UPA, to Rs 1,600 crore and that the contract will help Anil Ambani get Rs 30,000 crore benefit through offset contract. Refuting the charges, the BJP-led National Democratic Alliance (NDA) government has accused the Congress of not supporting HAL during its rule and asserted that the government is now strengthening the defence public sector undertaking. Also, the government has claimed that the price negotiated by the NDA government is nine per cent lower than what was negotiated by the UPA. In a fiery “point-by-point” rebuttal to Congress’s charges on the Rafale deal, Sitharaman accused it of spreading “falsehood” on the issue and said while the Bofors scam brought the party down, Rafale will help PM Modi retain power. Sitharaman, in her over two-hour speech, also accused the Congress of stalling the contract during its rule because it “didn’t get the money”, asserting that there was a difference between a defence deal and dealing in defence. Ever since the Parliament resumed after a two-week break, the Lok Sabha has been witnessing furore between the government and the opposition over the Rafale deal. 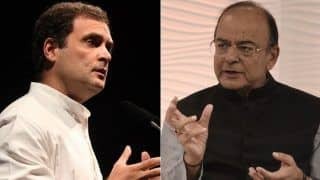 On January 2, Rahul used former Defence Minister Manohar Parrikar’s purported audio clip to sharpen his attack on the Narendra Modi government and Finance Minister Arun Jaitley accusing the Congress chief of peddling “lies” and “falsehood”. Sitharaman said that it is a matter of "shame" that Rahul was "misleading" the country without fully understanding the issue. Congress has alleged that government denied HAL the offset contract under the Rafale fighter jets deal with France. On the contrary, BJP has accused the Congress of not supporting HAL during its rule.